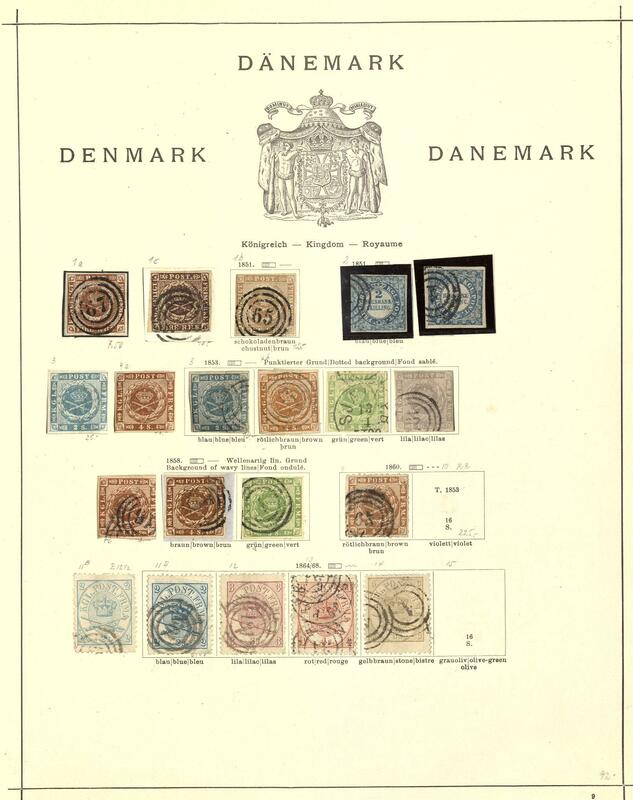 580 ⊙ Denmark - rich collection, almost exclusively used collected from the classic with numerous different issues, much older material, special- and commemorative issues and so on. Very high catalog value! 688 ✉ Denmark - interesting lot of 92 covers, cards and postal stationery, almost only older material. As well numerous attractive documents including one beautiful need used postal stationery Danish West Indies from 1896 to Hamburg used, censored mail II. World war and so on. Treasure trove! 714 ⊙ Denmark / stamp booklet - rich collection different stamp booklet in the ring binder with sought-after issues, beautiful subjects and so on. High acquisition price! 854 ⊙ Denmark / stamp booklet - 1993 / 2004, nice and extensive used collection from different stamp booklet in the ring binder. As well popular issues, lovely motives and so on, in total 92 pieces. High subscription price! 1435 ✉ Denmark - interesting collection from covers and cards in the letter album accommodated. As well nice documents, interesting frankings, airmail, nice registered cover from 1936 with tête-bêche and tête-bêche gutter and so on. 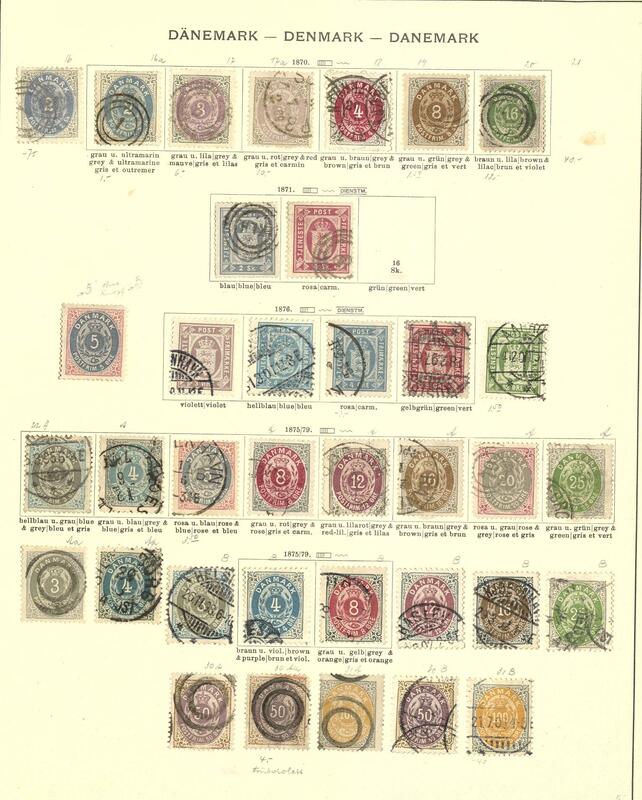 1855 x Denmark - extensive inventory packed in a carton, as well numerous single stamps from the classic in bags accommodated with an enormous amount of material, as well much old material, stamps on stock pages and so on. Treasure trove! 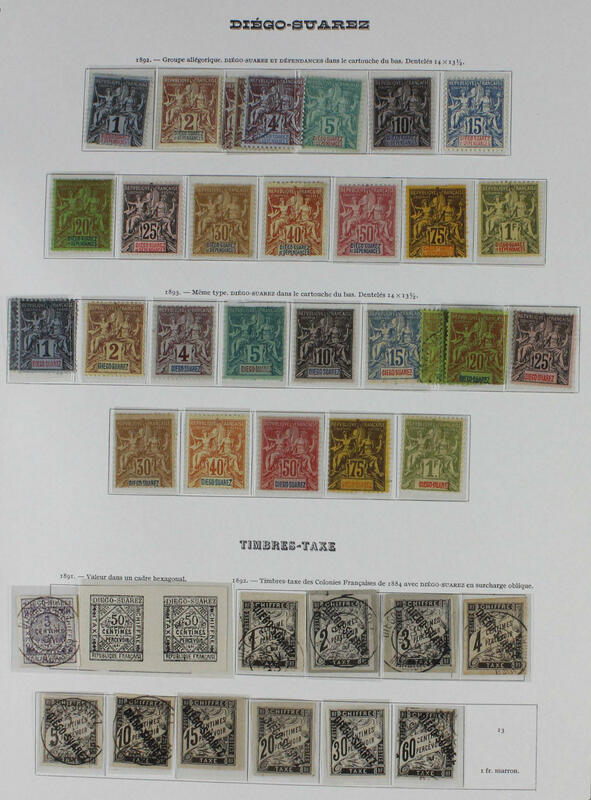 2325 x Denmark - extensive lot packed in a carton, as well year sets, numerous older issues from the classic and so on. Treasure trove! 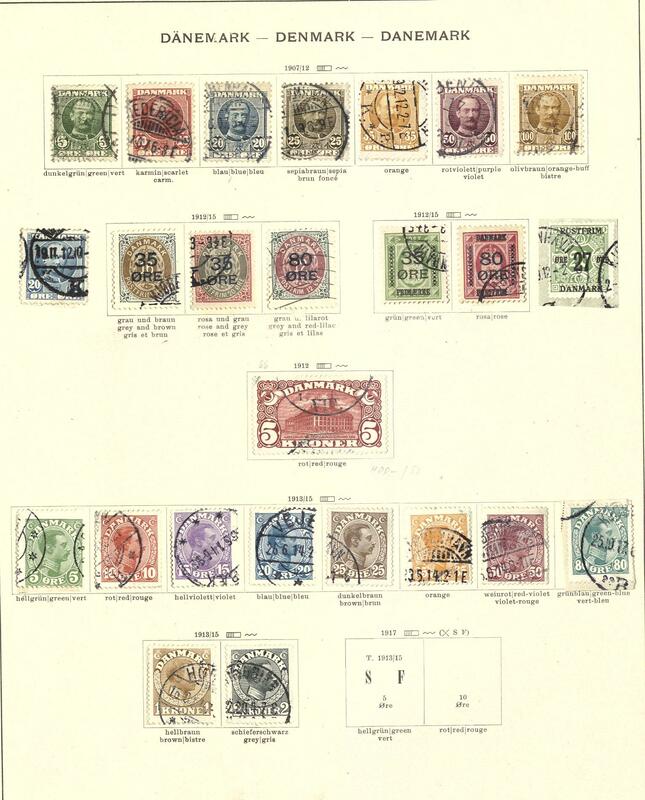 1300 /⊙ 1/5, 2 DIEGO-SUAREZ - 1890 / 93, very nice collection, nearly complete clean unused respectively used with useful issues on Yvert hingeless printed form. 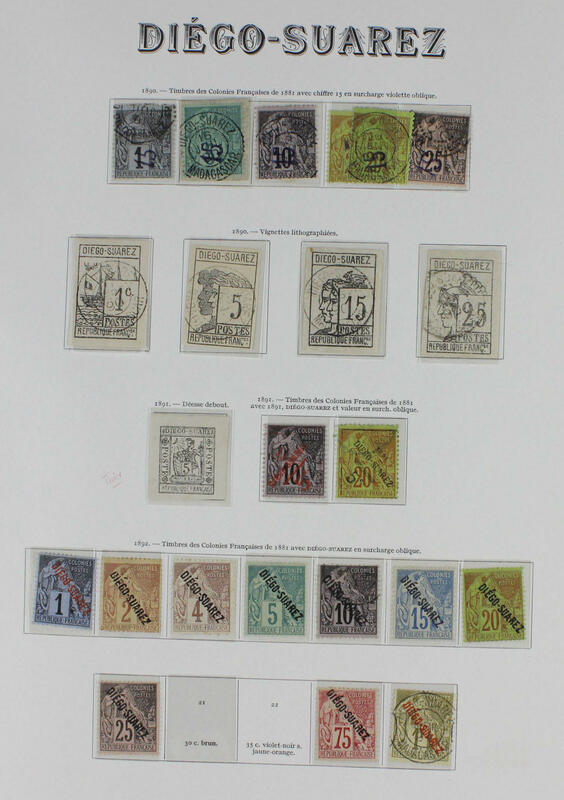 As well scarce issues, good overprint items and so on. Including Michel no. 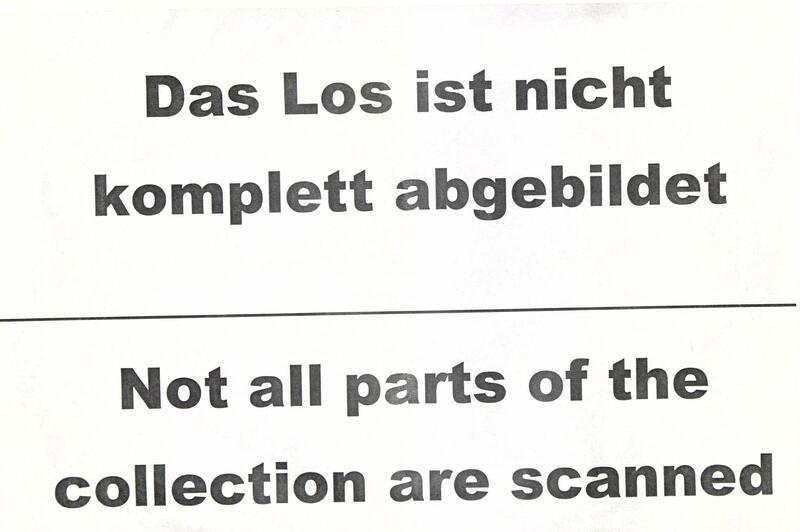 1/5 used (Michel 400,- €), 6 / 9 used (Michel 650,- €), 10 unused expertized Thier (Michel 350,- €), 11 unused (Michel 200,- €), 13 / 20 unused (Michel 385,- €), 25 / 37 unused (Michel 320,- €), 38 / 50 unused (Michel 150,- €), postage Michel no. 2 in the horizontal pair unused (Michel 540,- €), 3 / 12 unused respectively used (Michel 1600,- €) and so on. A magnificent object this hardly once offered area!